We are experienced at handling small and large commercial installations. Click here to view our gallery. When you're thinking of energy efficiency, consider tinting your windows. Click here for more information. 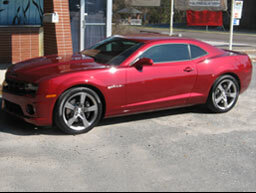 Tropical Glass Tinting specializes in automotive window tinting for your car, truck or boat. Click here to view our gallery. 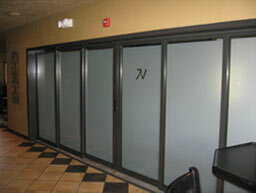 Tropical Glass Tinting, located in Gainesville, Florida is an authorized Llumar full line window tinting company. Our goal is to offer you the best custom glass window tint and the cleanest installations on your vehicle, home, or business. Thank you for visiting our website. Please contact us for an appointment although walk-ins are welcome. 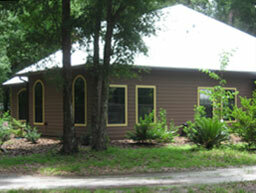 Tropical Glass Tinting DBA Tropical Solar Films in Gainesville, FL has been serving the Alachua County area since 1987. After starting in a small shop in the North Gainesville Industrial Park, we moved to our present location at 720 NW 13th st. in 1990. Since then, we have installed window tint on over a thousand vehicles a year as well as hundreds of homes and businesses. Two of the largest commercial jobs we have completed were at the University of Florida. The Aerospace Engineering building on Museum Rd. involved applying over 3000 square feet of solar control film on over 200 windows. The Butterfly Exhibit at the Florida Museum of Natural History involved tinting windows thirty feet above the ground on a hydraulic lift. Though we can handle large commercial installations we primarily specialize in vehicle / automotive applications with over 40 years of combined experience in the glass tinting industry, Tropical Glass Tinting DBA Tropical Solar Films should be your choice when it's time to tint your car, truck, boat, home, or business.